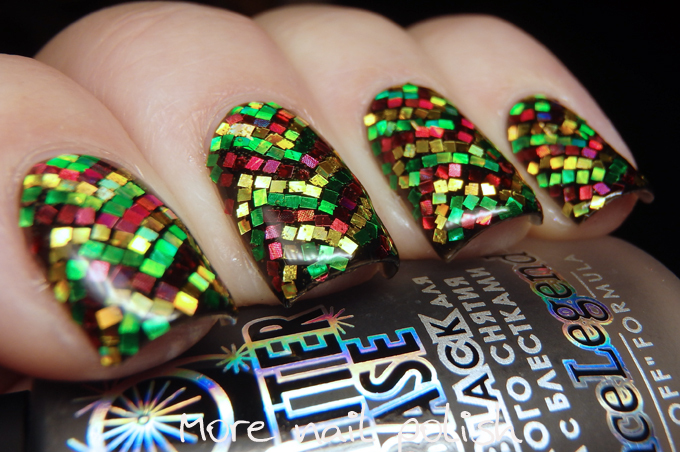 31DC2016 - Glitter + Red, Green & Yellow + Zigzags! Day 17 already, doesn't it feel like its going really fast this year. I've dropped off my pace a bit but I'm still a few mani's ahead luckily as there has been a few nights this week where my nails were just not going to get done. 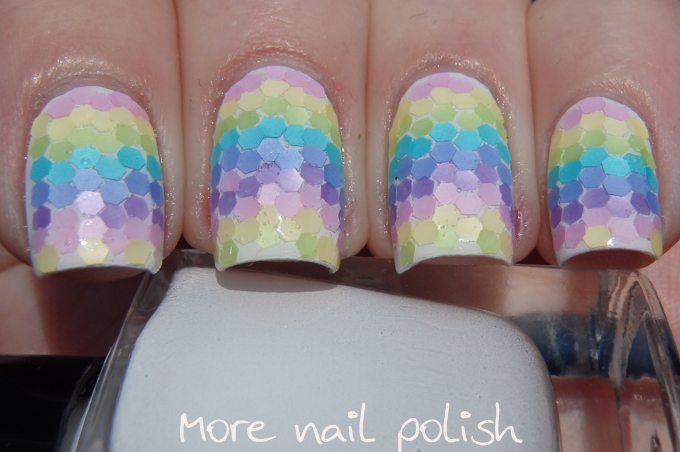 Today's mani once again knocks off two nail art challenges by combining three prompts. 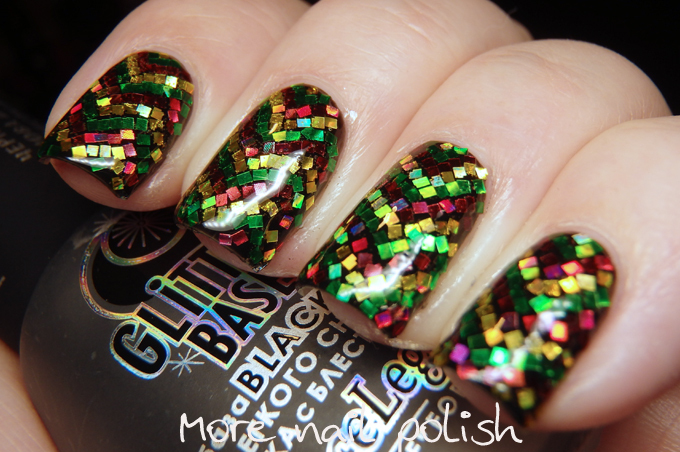 For the 40 Great Nail Art ideas the theme this week is red, yellow and green (which creates a seriously Christmassy look), my personal prompt was zigzags, then today's prompt for the 31 Day Challenge is glitter. 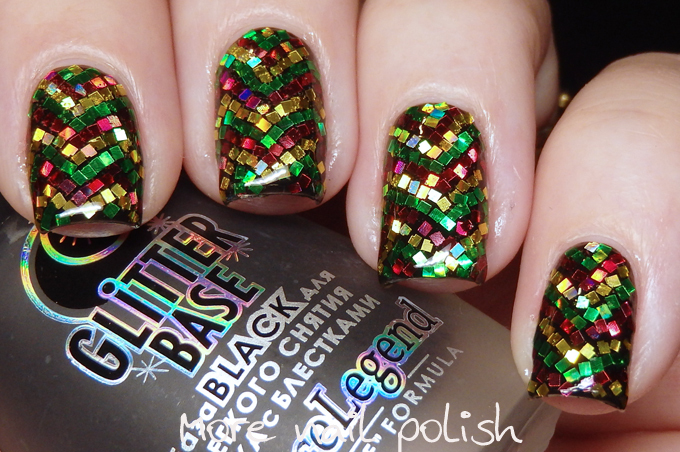 So when you combine them all I knew I had to create red, yellow and green zigzags out of glitter. 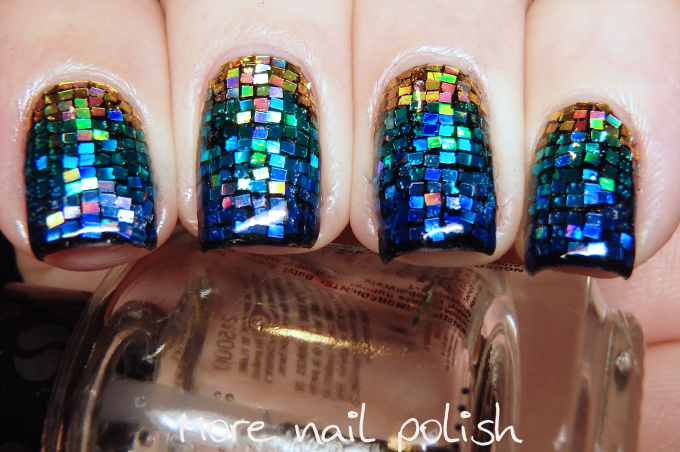 I've said it before and I'll say it again, if there is any day that you are going to attempt a glitter placement mani, it's going to be for the 31 Day Challenge Gliter prompt. It kills me every year. It takes literally hours to do. Neither of my hands end up matching (cause I just smooshed, red, yellow and green glitter randomly onto my right hand). But it's always so worth it. 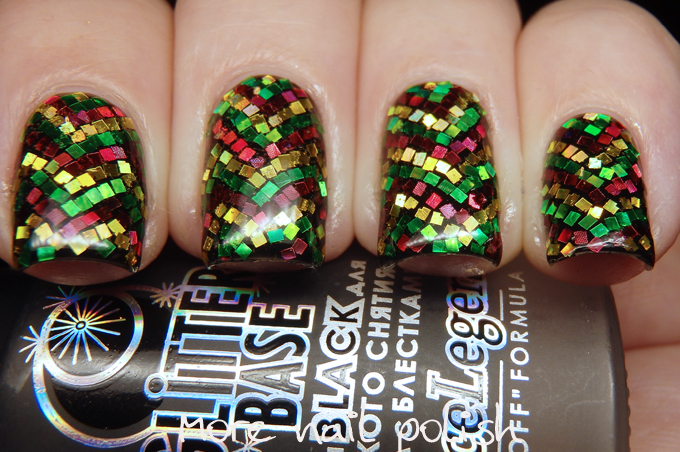 Glitter placement looks amazing in real life, even when it is an uneven and spaced out as this. My Glitter nails from 2013 and 2014 and 2015! Oh wow, I love how you really make the most of this challenge and do extra advanced/time consuming designs! It ended up super pretty!